About: Ender is a French artist, born in 1973, living and working in Paris. He spent 25 years in the infamous neighborhood of Belleville (an emblematic street art area) where his pieces, mainly stencils and paste-ups, are quickly recognized. He uses pastes ups because he needs 3 to 6 layers stencils to compose his images, so the use of spray paint directly in the streets would be difficult. His paste ups have an ephemeral lifespan: Once pasted up on walls, they surprise the passers-by and then disappear, either removed by cleaners, stolen by collectors or simply washed away by the rain. The destruction of the work is also part of its existence. Ender works as he is creating a scenario to give a meaning to the stencils. Once the work is pasted up, it might be short lived. It becomes property of passers-by who will (or won’t) look at it. It may be ripped off the wall, but the artist intention is to put a smile or an emotion to whoever looks at it. Ender works various themes: from cheeky kids photographed by him sticking their tongues out, to the re-creation of classical pieces and self-portrait, Ender express his love for classical history and events. Where you can see it: Paris (especially Belleville), Rome, Marseille, Strasbourg, Venise and Florence. 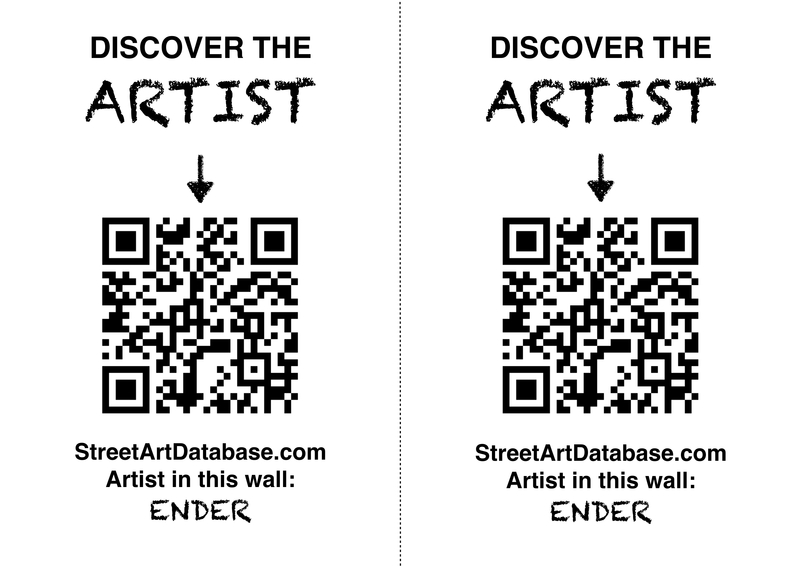 PRINT CODE: help tagging Ender in the streets of your city! Posted in poster wheatpasting, stencilBookmark the permalink.